Zamudio has installed new rubbish bins, painted in colours that follow the same logic as bins for household waste. This way, waste sorting will be possible on streets and parks. 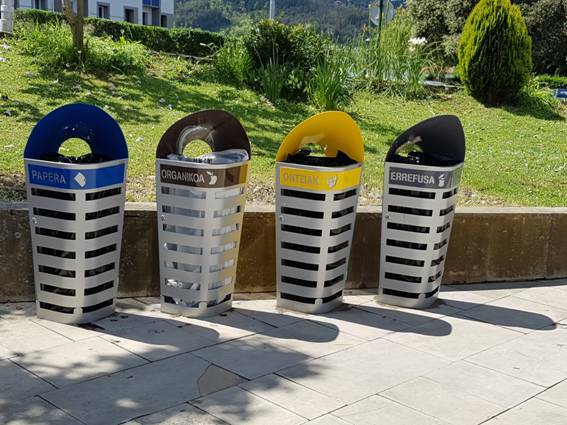 The local council of Zamudio has installed new rubbish bins, aimed at waste sorting, in parks, streets and squares. 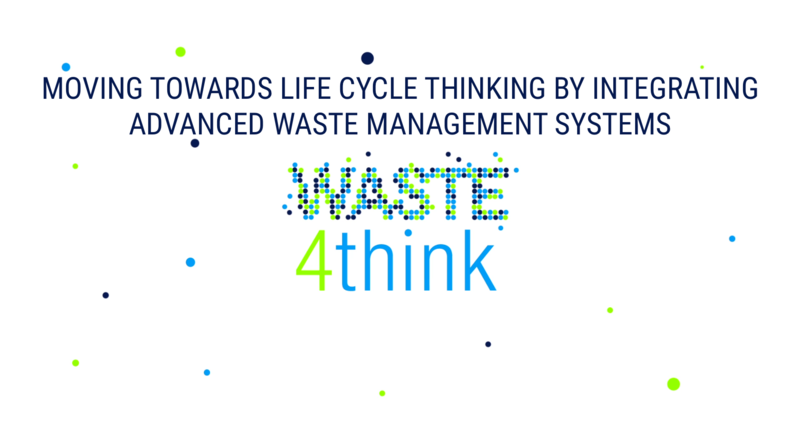 They are identified by colours that follow the same logic as bins for household waste, and have been installed in line with the goals of the European project Waste4Think (in which Zamudio is taking part), which aims at increasing waste sorting so that residues may be easily recycled and reused as resources. Yellow colour (‘Ontziak’) identifies bins aimed at metal and plastic packagings, such as tetra pak cartons, yogurt tubs and caps, drink cans and pull-rings, soft drinks and water bottles, bottle caps, pill bottles, plastic bags, plastic wrappers and produce bags (for appetizers, sunflower seeds or sweets), plastic films, aluminium foil and wrappings in general. Brown coloured ones (‘Organikoa’) are aimed at used tissues; used paper serviettes; remainders of all types of food, such as cheese, yogurt, dairy products, cold meats, meat, bread, shells of nuts and sunflower seeds, skins and remainders of fruit and vegetables such as bananas, apples, mandarins, etc. ; remainders of sandwiches, chips, snacks, sunflower seeds, sweets, olive pits, toothpick and ice cream sticks. Grey colour (“Errefusa”) is for sweets with packaging, chewing gums, wraps for Babybel cheese, sweets and lollipop sticks, plastic-coated paper such as used in butcher shops, stickers for fruit, nappies, wet wipes, sanitary towels, surgical tape, sticking plasters, dummies, hairbands and hairpins, thread, safety pins, fag-ends and cold ashes, lighters, matches and tobacco; pens and pencils, sellotape, rubbers, clips, strings, photographies, rubber bands, staples, stickers, animal excrements and keys.